HENSHIN! 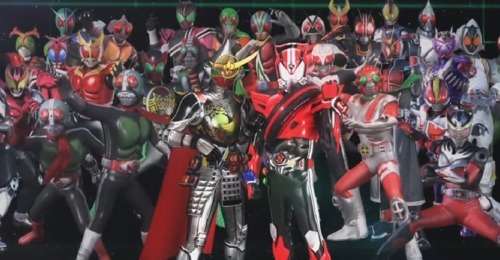 Tokusatsu Panel is about the world of Japanese TV genre known as Tokusatsu, split into various sub-sections: Kamen Rider, Super Sentai, Ultraman, Kaiju, and other off-shoot TV shows. The panel explains the history and characteristics of Tokusatsu, as well as show examples of the genre via short video clips. Then the panel wraps up with audience questions and comments. The panel is highly recommended for people who wants to know more about Tokusatsu, as well as people that are already well into it.